Available in all standard wheel sizes including 16”, 20“ 24” 26”, 27.5”, 700C, 29er as well as a range of other sizes on request. Basically, if you want it, we can make it happen! Initial installation takes less than 10 minutes, and is as easy as swapping the wheel. 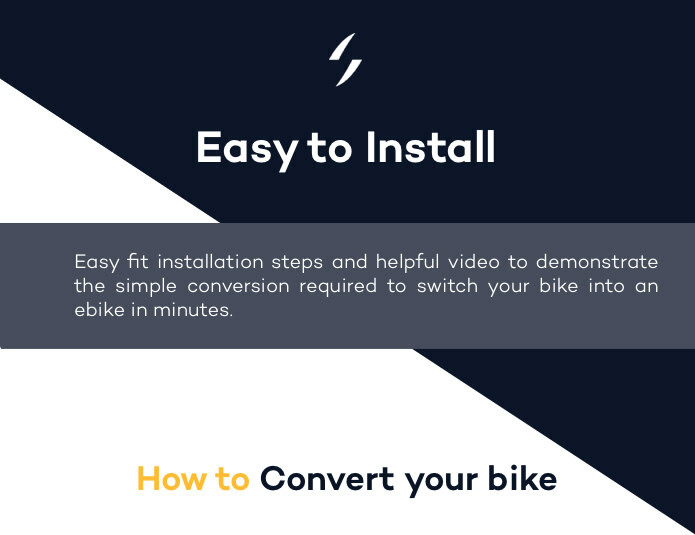 Once installed, switching from bike to eBike takes just seconds. 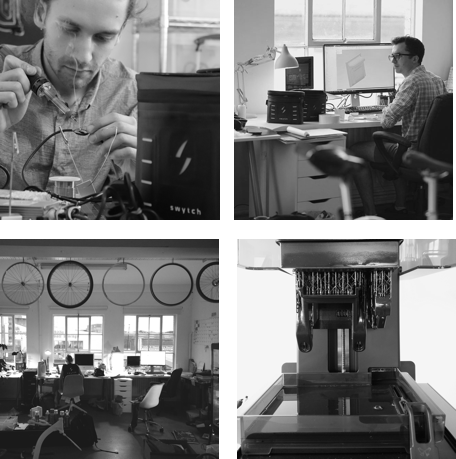 Our founder, Oliver, has over 6 years experience designing and building electric bikes. He noticed that most eBikes are unnecessarily heavy and expensive due to the exotic frame designs, additional materials and superfluous features crammed into the eBike. What's more - these eBikes no longer look, feel, or work like a proper bike any more. Fed up with the high prices and poor quality of existing products, he had an idea for how to re-think the entire concept of an electric bike. Using his existing supplier network and a close knit team of Engineers and Designers he began prototyping and developing what is now the Swytch Conversion Kit. Please note all options such as wheel size can be selected at the end of the campaign as part of our post-campaign customer survey. 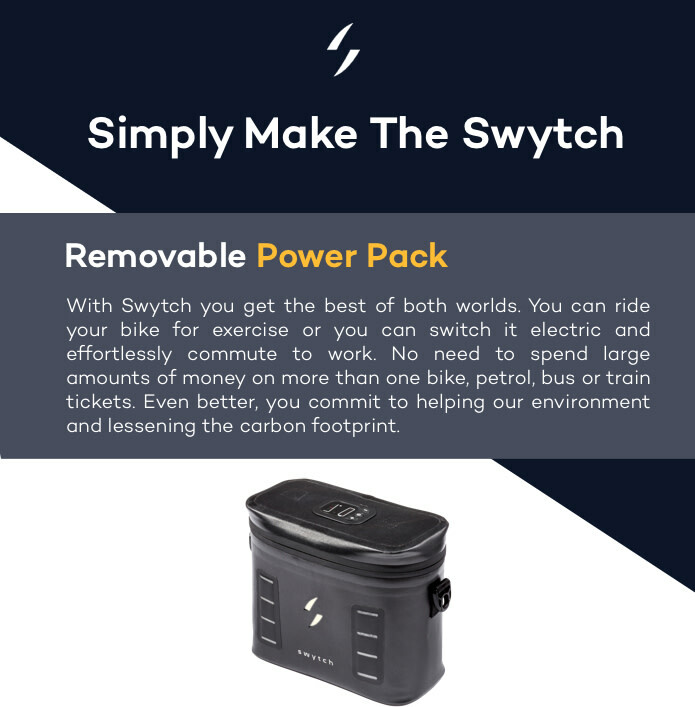 What is the difference between the Swytch System and any other ebike or electric conversion kit? The Swytch System is patent pending, the lightest and most compact removable e-bike system in the world. It is the only system that allows you to have a bike and an e-bike in one! Why are you launching on crowdfunding? We are crowdfunding so that we can make a difference faster. We have a pending patent which proves the genuine nature of our engineering expertise and efforts to bring something new to the market. We want to improve people's lives through great engineering and technologies which are fun and efficient - and not pressure or guilt people into changing their behaviour. Why is it so reasonably priced? Really the question is why are other e-bikes so expensive! Because they aren't being made cleverly. We've redesigned the e-bike concept from the ground up, incorporating intelligent design techniques and modern manufacturing to deliver exceptional performance and quality without breaking the bank. How can you ensure a low price? The Swytch System is the result of not only years of engineering expertise in this field but many years of experience sourcing high quality components, establishing reliable distribution channels and shipping goods on time. This is why we are 100% confident in our promise to deliver high quality products for the lowest price possible. How is Swytch manufactured? The Swytch System is manufactured to a British engineering design with the latest manufacturing techniques. What is the mileage of the conversion kit? / How long does the battery last? Our base unit has a maximum range between 15-40 miles (average 25 miles). Please check the technical specifications for further range information. How much does the system weigh? Please check the technical specifications above for detailed weights. How long does it take to charge? You can top up almost 10 miles of range per hour of charge. Full charge is reached in 3 hours for the 25 mile battery and 6 hours for the 50 mile battery. When can I expect to get my Swytch conversion kit or bike? We will deliver by April 2018 in time for the next cycling season. How confident are you that you can deliver on time? 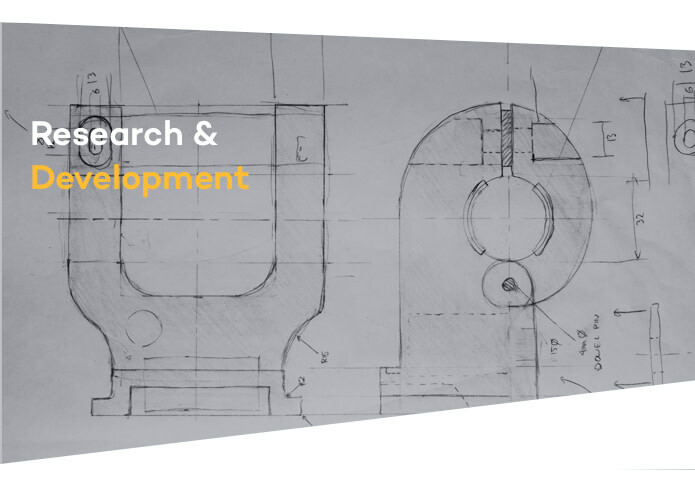 Because of our close relationships with our manufacturing partners and the extensive testing that we have already performed in this field, we are confident in our ability to meet our timeline. We’ve built and delivered e-bike kits similar to this before to much tighter deadlines with ease. Although unforeseen obstacles can arise during any manufacturing process, we intend to run everything efficiently, transparently, and on-time to over-deliver on the expectations of our backers. Is this legal in my country? Yes. The kit is legal in Europe and North America. It conforms to EU standards which are more stringent than any other country we’ve checked. If you’re unsure, please check the legislation in your country. What is the top speed? The top speed is 15.5 mph (25 kph) in the EU & 25 mph (40 kph) in the US. The throttle & 350 Watt Motor options are only legal outside of the EU. Do I need a license to ride a Swytch bike? No license is required. The Swytch System is 100% road/street legal. Is it hard to install on my bike? It is no harder than changing a bike wheel, which is very easy! The front wheel comes complete so there is no tire change required. 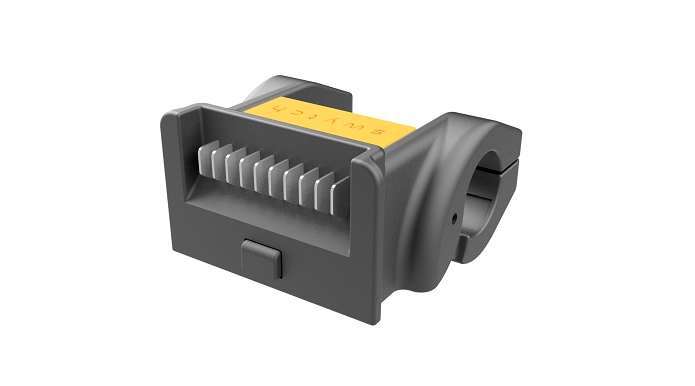 The brake and pedal sensors are specially designed for easy fitting onto any bike type. Please refer to our "How-to" videos for a full demo. What are the advantages of the Swytch Hub-Drive system over mid-drive/chain drive systems? We believe that when you convert your bike to electric you don’t want to lose the feel of the original ride. With a chain drive system, you get friction when you pedal, even when the power is off, making it feel like riding in a constant headwind. We believe one of the biggest problems with electric bikes is that you totally lose the feeling of riding your original bike. The Swytch Hub-Motor is low drag, meaning your original ride is unaffected when you switch back. The Swytch Hub-Motor is also 3 times lighter than the average mid-drive motor, so you won’t notice a difference in handling. What are the advantages of a Swytch Geared Hub Motor over direct drive hub motor? Geared means that there is no drag when you turn the power off, and it's more efficient. Direct drive means the motor is always engaged and so when the power is off you get drag like as if you are cycling into a headwind. Is Swytch suitable for use in adverse weather conditions like rain or snow? In a word, yes! 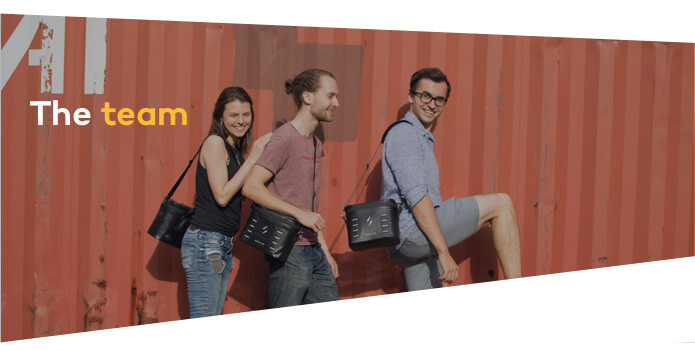 The Swytch bag, sensors and motor wheel are completely water resistant and totally safe for use in any weather. How do I operate the Swytch system? First, once converted just clip the bag in place and turn it on. Press the up and down button to adjust the power level. You will feel the power kick in as soon as you start to pedal.If you have chosen the throttle version, just get on the bike and press the throttle for easy, progressive speed control. If you have chosen the Pedal Assist version, just hop on your bike and pedal like a normal bike, the motor will automatically assist each pedal stroke. Does it have throttle control? We offer a throttle as an added extra however it is not legal in the EU for electric bikes. Please check the legislation in your own country before installing a throttle to your bike. What tools do I need to install the Swytch System? Standard bicycle tools which are needed for basic maintenance which are: - Hex keys - Adjustable spanner To fit the optional discrete pedal sensor you will need a pedal crank removal tool that suits your bike. How do I find my wheel size? The wheel size is usually printed on the side of your wheel and tire. But if you’re unsure, don’t worry! We custom build every wheel to order. And you’ll get an opportunity to double check your wheel size before we build yours. Does Swytch work with my brakes? 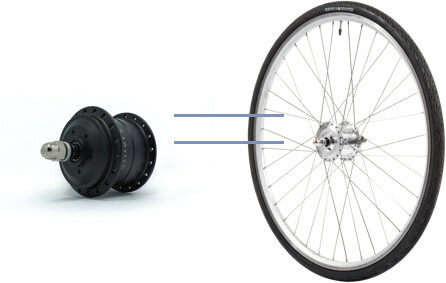 The Swytch motor wheel is compatible with both rim brakes and disk brakes. The standard easy-fit brake sensors work with any wired brakes. If you have hydraulic brakes on your bike, tell us when we send out the survey at the end of the campaign, and we will send you easy-fit hydraulic brakes sensors instead. Alternatively, we offer a replacement brake lever for wired brakes which has the sensor already built-in. To fit it you will need to replace your old brake lever. This option isn’t compatible with hydraulic brakes or integrated brake and gear shifters. Does the Swytch Motor Wheel fit my quick-release wheel forks and/or my front fork? Just tell us your front fork measurements in our survey, and we build the wheel to suit any wheel size. How much weight can the Swytch Motor Wheel handle? 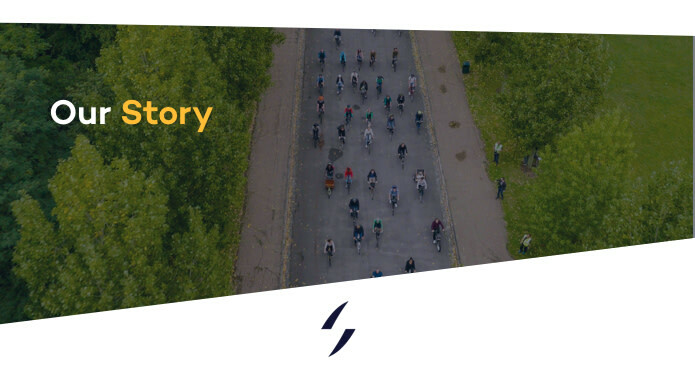 The Swytch Motor Wheel is built stronger and tougher than a normal bicycle wheel, so unless you find your normal bicycle wheels breaking, you don’t need to worry! Do I need a torque arm for my bike? The kit comes with torque-washers which will allow you to safely install it in most frames. Select the torque-arm perk if you have lightweight or carbon fibre forks for extra support. Can it work with my multi-geared bike? Absolutely. 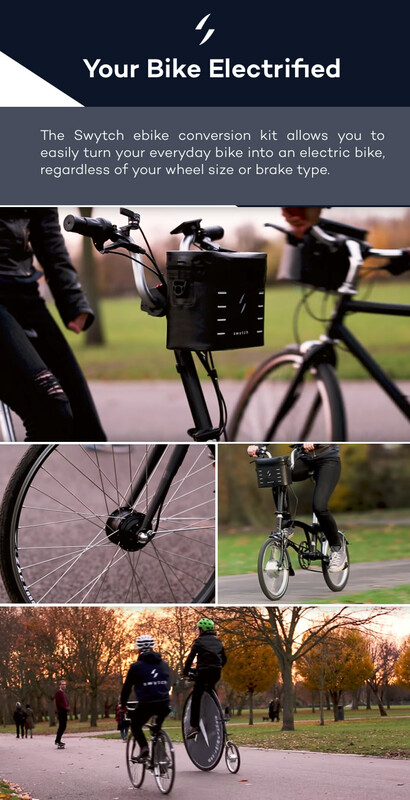 The Swytch is a front wheel system and works with multi geared bicycles. What about spare parts? Can a local bike shop assist me? Spare parts will be available by online order. Can you fit the kit for me? We’ll provide all the support you need to fit the kit yourself. If you don’t want to fit it yourself or don’t have a bike to convert then we have a choice of beautiful, lightweight bikes with the Swytch kit already fitted for you. Can I still cycle if the battery runs out of power? Of course! The motor wheel has a freewheel mechanism meaning that there is no drag when you cycle with the power off. How much does shipping cost? Shipping is included for USA and EU, check for international. What kind of warranty do you offer? All Swytch kits have 1 year warranty and battery recycling scheme, so you can return your battery for a 50% discount on a new one when it comes to the end of its life after 3-5 years. How do I select the size and colour of my wheel when I pre-order? At the end of the campaign, we will send a survey to all our backers asking you what size, brake type and color you would like. If you ordered more than one wheel, you will be able to specify this for each wheel separately. Who is responsible for additional taxes, duties or VAT? The backer is responsible, please check your country's import duties before purchasing. It is 0% in the US and varies internationally. Can I change or cancel my perk? Indiegogo has now made it easier than ever to upgrade your perks. You can now do so on the contributions tab of your Indiegogo profile. See more information on how to do this for Indiegogo here: https://support.indiegogo.com/hc/en-us/signin?r... Regarding cancellations, Indiegogo policies dictate that campaign owners have no ability to adjust perk selections. Backers can upgrade, change, or cancel their perks/rewards at anytime on their contributor's profile until the campaign has closed. After the campaign has ended and funds have been disbursed, the campaigners will evaluate such requests will be handled on a case-by-case basis.